Luxembourg's flag carrier airline Luxair was founded in 1962. Its main base for operations is at Luxembourg Findel Airport, which is in Sandweiler in Luxembourg. As well as this base of operations, Saarbrucken is also primary city for the airline. 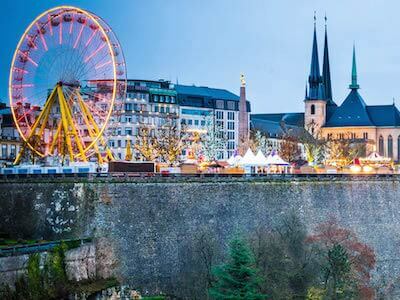 In addition to being the country's flag carrier, Luxair is also the only passenger airline in Luxembourg. There are nearly 20 planes in the company's fleet including the Bombardier Dash 8 Q400. The rest of the fleet is made up of Boeing 737s and Embraer ERJ 145s. Luxair operates flights to more than 60 destinations in Europe, the Middle East and Africa. 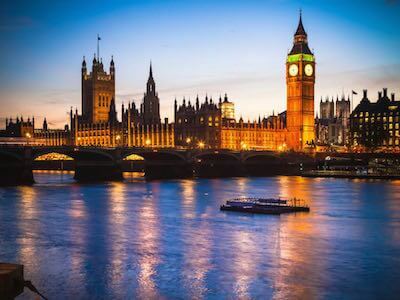 Flights to London are among its most popular routes, along with flights to Porto, Madrid and Nice. The company previously operated flights to Frankfurt as a codeshare with Lufthansa, although this arrangement ended in 2015. The airline has never joined an alliance. Check in can be done online, on mobile or at the airport. Luxair online check-in opens 24 hours prior to takeoff and closes again 1 hour ahead of departure. A booking reference number or an e-ticket number is needed to check in online. Passengers can also choose their seat during online check-in. There is no extra charge for this. All Luxair passengers except for youth passengers can check in online. Online check-in is not available on flights originating at Porto or Lisbon. If they cannot check in online for any reason, check-in can also be done using a kiosk at the airport. On all company flights, including Luxair flights to London, the hand luggage allowance is the same. Only 1 item for Economy class passengers and 2 items for Business class passengers. Each item of hand luggage carried into the cabin must weigh less than 7 kg and be smaller than 55 x 40 x 20 cm. Musical instruments can be carried as hand luggage but are subject to the same size and weight limits as other types of hand luggage. Mobility aids, such as wheelchairs, canes and crutches can also be taken into the cabin of the aircraft and do not count towards a passenger's hand luggage allowance. Adult and child Economy class passengers on Luxair flights are entitled to up to 20 kg of checked baggage. Business class passengers have an allowance of up to 30 kg. Members of certain rewards schemes also receive increased checked luggage allowances. Infants younger than 2 years old have an allowance of 10 kg plus a collapsible stroller. Regardless of the total checked baggage allowance, no single item may weigh more than 32 kg. The company will refuse to carry luggage heavier than 32 kg. Passengers can choose to add sports equipment, such as golf clubs, fishing rods or snowboards, to their checked baggage allowance for a price. Luxair will charge passengers who exceed their baggage allowance.